Our product range includes a wide range of hss taper shank drill, hss threading spiral taps, hss round die, hss hand taps and hss endmill. 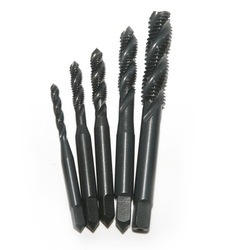 Backed by a team of highly devoted professionals, our organization is offering a wide range of HSS Taper Shank Drill. 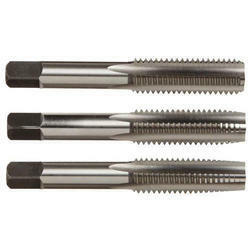 By keeping track with the market development, we are offering optimum quality HSS Threading Spiral Taps. Our offered range is widely appreciated by our prestigious clients for its precise design and durability. The offered range can also be availed in various sizes, designs and other related specifications. Our provided range is manufactured by a team of our adept professionals utilizing quality approved raw material and advanced technology. 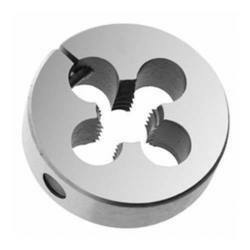 Backed by a team of highly devoted professionals, our organization is offering a wide range of HSS Round Die. Backed by a team of highly devoted professionals, our organization is offering a wide range of HSS Hand Taps. Backed by a team of highly devoted professionals, our organization is offering a wide range of HSS Endmill. Looking for HSS Tools ?